What do we know about the Glomar Shoal Key Ecological Feature? Learn more about the Glomar Shoals KEF, based on new knowledge of its benthic and pelagic environments that researchers within the NESP Marine Biodiversity Hub used to develop a preliminary model of the KEF's ecosystem components and processes. Wetlands are a critical part of our natural environment. They protect our shores from wave action, reduce the impacts of floods, absorb pollutants and improve water quality. They provide habitat for animals and plants and many contain a wide diversity of life, supporting plants and animals that are found nowhere else. The Convention on Wetlands of International Importance (the Ramsar Convention) was signed in Ramsar, Iran on 2 February 1971. The Ramsar Convention aims to halt the worldwide loss of wetlands and to conserve, through wise use and management, those that remain. World Heritage Areas are places that are considered to be of outstanding value to humanity. Their aim is to protect natural and cultural heritage, and listed sites are places that belong to all the people of the world irrespective of their location. Sites that are nominated for World Heritage listing are only inscribed on the list after they have been carefully assessed as representing the best examples of the world's cultural and natural heritage. The Key Ecological Features (KEFs) are parts of the marine ecosystem that are considered to be of particular importance for either a region's biodiversity or its ecosystem function and integrity. This could relate to a species integral to a community (e.g. a predator that impacts a large biomass or number of species), an important habitat type (e.g. that supports high productivity or aggregations of nesting or breeding animals), or a unique seafloor feature that positively impacts the surrounding ecosystem (e.g. a deep canyon that stimulates upwellings of nutrient rich water). Bathomes are large spatial regions (usually exceeding 1000 km2) characterised by the bathymetric (depth-related) distribution of biota. Bathymetry is important in determining the types of biological communities that exist in a given region. To a large extent, depth determines the amount of light that reaches the seafloor, and it also has a strong influence on the temperature. Different species have specific conditions of light and temperature that they need to survive, and this limits their distribution within the ocean. See where sea lions, sea birds, whales, dolphins and turtles like to breed, forage and nest. Environment Australia is tasked with managing the networks of Commonwealth Marine Reserves (CMRs). How do people value the Kimberley coast? To-date, little attention has been paid to the social values associated with marine parks. However, understanding peoples’ needs and values is essential for effective marine park planning and management. 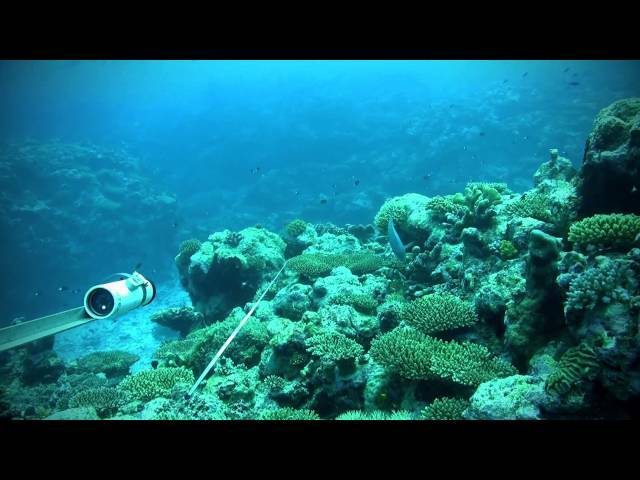 Scientists from the Australian Institute of Marine Science, CSIRO and the WA Museum continue their exploration of the tropical waters of north-west Australia’s remote Kimberley region. Researchers present this interactive map-based summary of the current state of knowledge about the Oceanic Shoals Commonwealth Marine Reserve. A video about the research conducted as part of the Montara project. Use the interactive map to see where seismic surveys have been conducted near or within NW Australia's Oceanic Shoals Commonwealth Marine Reserves. The interactive map shows areas within and around the Oceanic Shoals CMR covered by petroleum titles and where these have been 'released' for exploration or extraction.